I carefully peruse each book before it lands in our bag to check-out. My examination is looking mainly at content; I want each book to contain content that is edifying and interesting. Books with characters who don't speak kindly to each other or respectfully to their parents go back on the shelves. Books that deal with subjects I don't think my children are ready to know about yet go back on the shelves. Books that contain well-written English and include important life lessons score big with me. 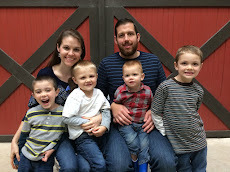 Academic emphasis that fits with what we are currently learning in homeschooling is always a plus. I also look for text amounts that match the attention spans of my little ones. Too much text without enough matching pictures is not usually a good combination in our season of life. And speaking of pictures, I really love and appreciate picture books with nice-looking illustrations. Not scribbly, not too cartoony, not comic-book style, not too difficult to make out what's happening in the picture. It occurred to me today as I was writing my sister an email with some book recommendations based on our latest library run, that this kind of content would make a fun addition to my blog. In the past, I've shared about books that made an impact on my life or titles I wanted to recommend from my own reading experience. Now, I would like to start including semi-regular posts about children's books that we are loving. Here are this week's picture book *jewels* that have been a hit with both children and Mom! 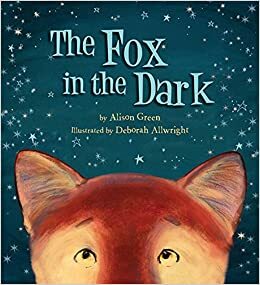 The Fox in the Dark is a sweet rhyming story with a catchy phrase at the end of each stanza that children start to repeat with enough read-throughs. As with many children's books, it focuses on animals as the main characters who are all hiding from what they perceive to be a scary fox that wants to eat them, when in reality, the fox just wants to be their friend. Both Isaac and Josiah were quite mesmerized by this story, and I was very pleased with both the content and the illustrations. Dewey, There's a Cat in the Library contains both an edifying story and absolutely gorgeous illustrations. 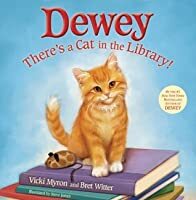 In this book, readers are introduced to a precocious kitten who gets left in the drop-off box of a library and soon learns to help out at the library with all sorts of important kitten jobs. While I enjoyed the story as much as the boys, the illustrations alone are very impressive. Out of all the books we've read this year, these illustrations win the prize for the most beautiful.